Hey there crafty babes! 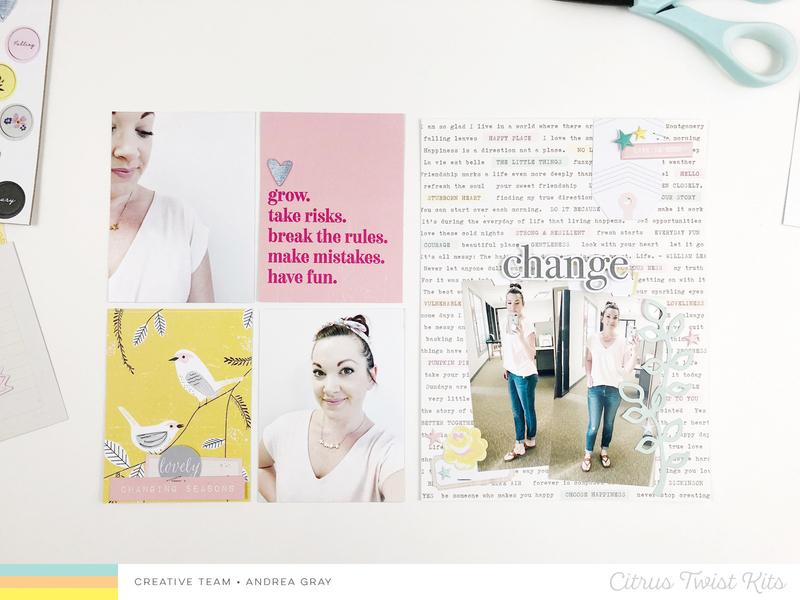 Andrea here to share a pocket page using the November Sunshine in my Soul kits. I loved the many references to growing and changing so I grabbed some photos of myself during a time that was full of those things! 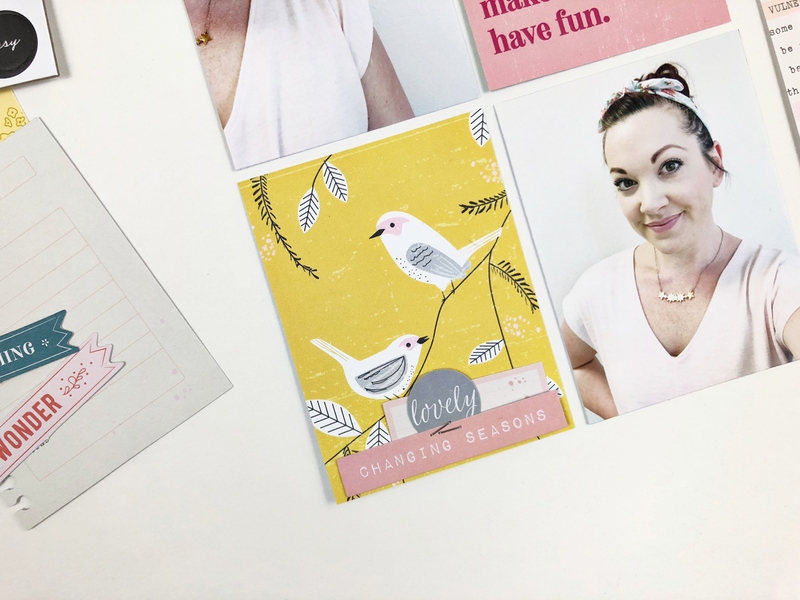 I started with the 6×8 paper with all those gorgeous typed and highlighted words and also some words, cards, and die cuts that went with my theme. My pocket/full layout combo spreads always get started the same way: the photos and cards alternate in the pocket according to how it looks the most balanced against the paper I choose for the other side. Keeping a balance of color and contrast is always a good place to start. I knew I wanted to use these vertical photos together so I staggered them and added little clusters around them. 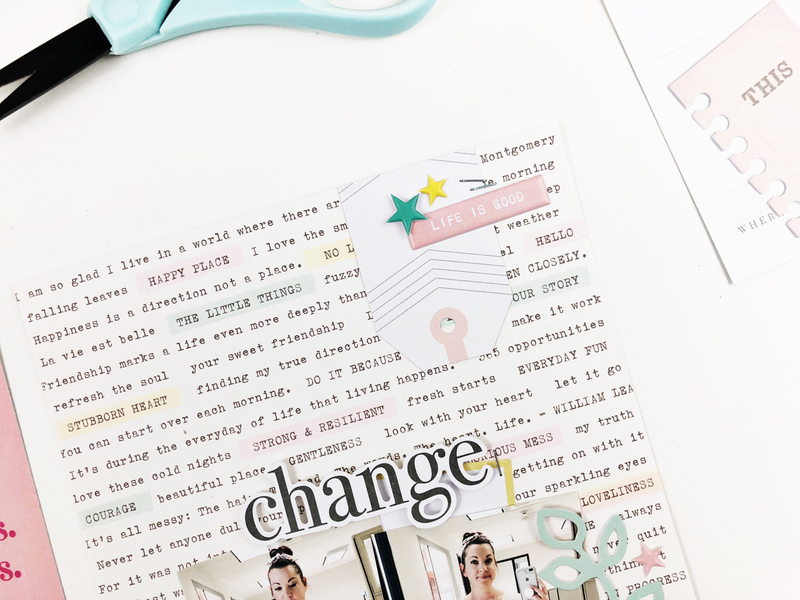 The “change” die cut quickly became the title and I wanted it to stand out so I didn’t add much around it. The top of this page definitely needed some place to rest the eyes from the focal photos so I clustered a little tag, word strip and stars. I loved the cards in this kit and used the risks and rules card as a focus on the pocket side. 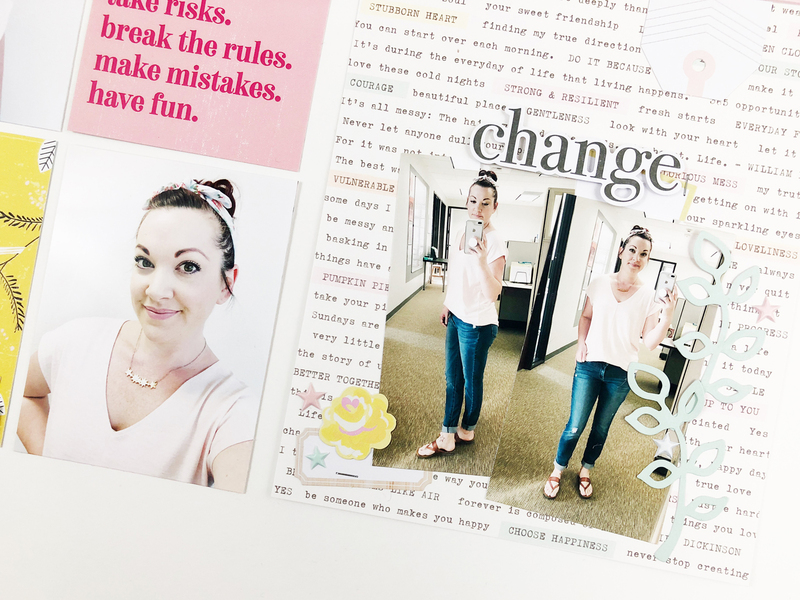 Only adding the denim chipboard heart was enough to pull in the jean color from my photos on the right. The bird card not only had the perfect colors but represents the freedom of my growth and changes. I love supplies that are beautiful AND symbolic! Making this layout was so fun and I hope it provided some inspiration! 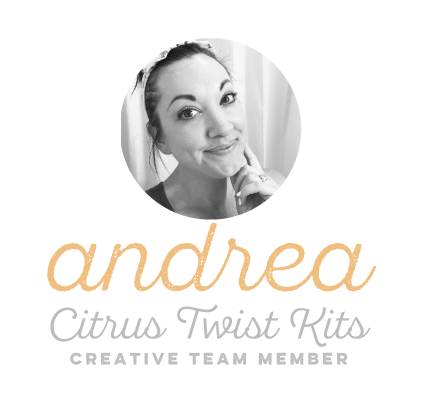 Be sure to check out all the Creative team projects to get the most inspiration for using the kits! So glad you hung out today, see ya soon!